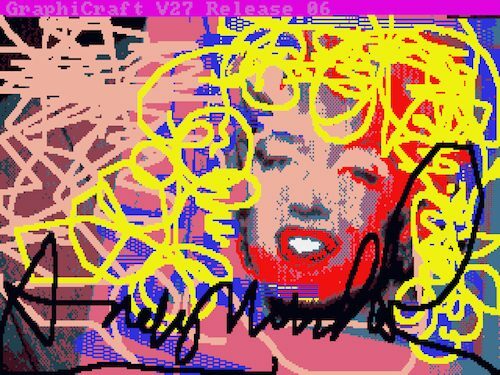 ‘Amiga Preservation’ has been realised in collaboration with: The Carnegie Museum of Art, The Andy Warhol Museum, The Frank-Ratchye STUDIO for Creative Inquiry and the Carnegie Mellon Computer Club. 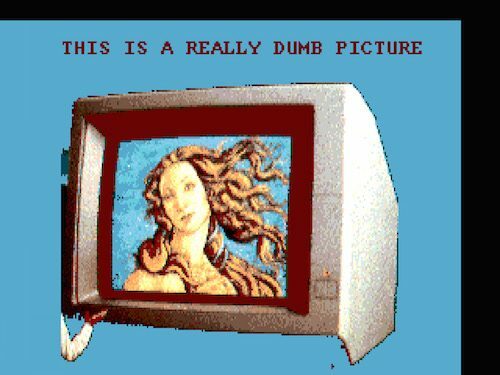 Cory Arcangel is behind one of most high-profile digital art restoration projects in recent years. 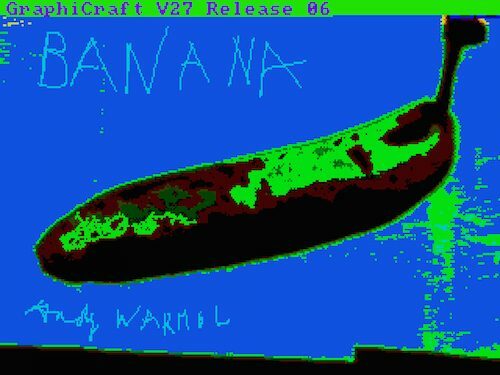 Working with members of the Carnegie Mellon University Computer Club and the Andy Warhol Museum in Pittsburgh, the artist recovered 12 image files from Andy Warhol’s personal computer, six of which are reproduced here. 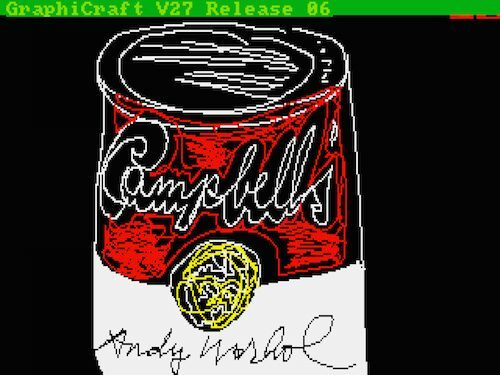 In 1985, Warhol was hired by Commodore International to help promote their latest, and best performing machine to date: the Amiga 1000 (a YouTube video of the launch, during which the Pop artist created a portrait of Debbie Harry live, has reached cult status in some circles). Warhol also produced several more pieces in the studio. 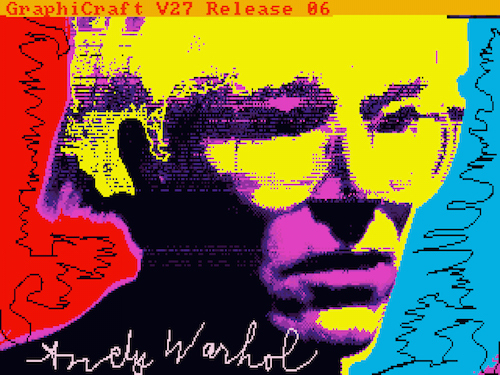 Some of them (still unpublished) were retrieved by Commodore’s former CFO, Don Greenbaum, from his personal equipment in 2011, but many of Warhol’s digital artworks remained untouched for decades on floppy disks stored in the Warhol Museum archive. Watch a documentary about the project here. 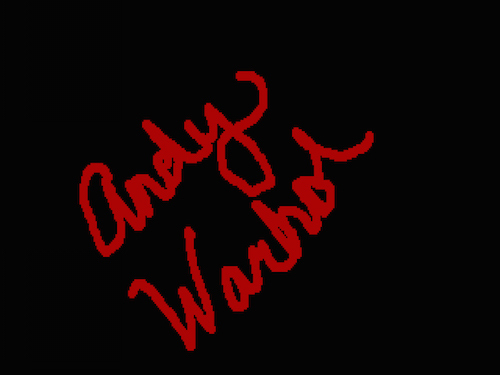 All digital images below credited to The Andy Warhol Museum, Pittsburgh; Founding Collection, Contribution The Andy Warhol Foundation for the Visual Arts, Inc. © 2017 The Andy Warhol Foundation for the Visual Arts, Inc. / Artists Rights Society (ARS), New York and DACS, London.